Alongside collection objects, we are now providing information on the people and organisations, places, categories and topics related to the objects in our collection. Our site delivers results for each of these within dedicated results sections. Why is this useful? Well, take a search for “banks” for example. The visitor could be searching for savings banks, the botanist Joseph Banks, or Banks Peninsula. Our old site would have delivered results for collection objects that have the word “banks” in their record somewhere. So if you wanted objects related to Joseph Banks, you would have to wade through hundreds of images of savings banks, and a few of Banks Peninsula, to find some of Joseph Banks. In our new site, a search for “banks” still provides all records that have the word “banks” in them, but it also highlights a record for Joseph Banks within the “Related people and organisations” section, and a record for Banks Peninsula within the “Related places” section. 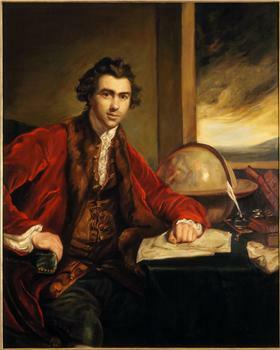 The link to Joseph Banks takes the visitor to all content related to him (see more below). Collections Online now provides meaningful links to related content from every page – links to related objects, people and organisations, places, categories, and topics. The links are meaningful because the content is directly related to what the visitor is viewing and the site makes it clear exactly why the content is related. We use controlled vocabularies, thesauri and authority records to achieve this, rather than just tags (which rather bluntly group things together, but don’t indicate why). This approach is becoming known as semantic tagging. We have a series of posts coming up that will take you on a tour of the new Collections Online site in more detail and also describe the underlying framework. In the meantime, let us know what you think.